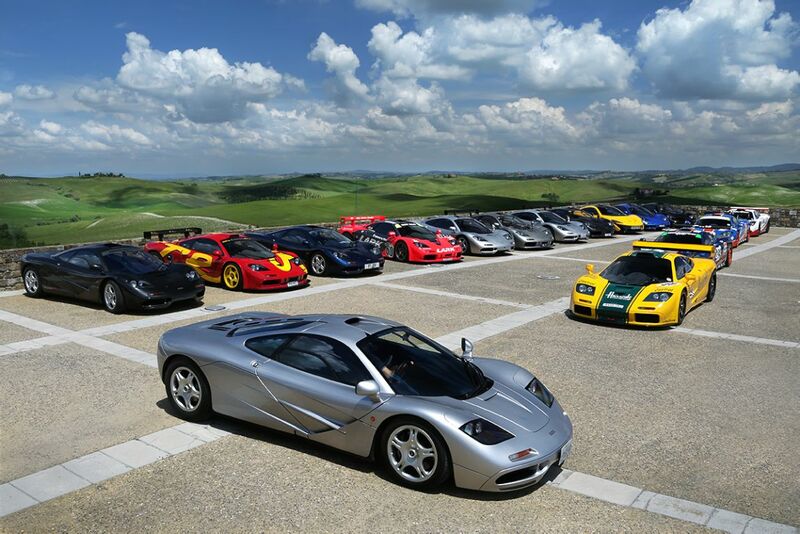 The McLaren F1 Owners Club held a rally May 30th to June 1st, 2014 in the Tuscany region of Italy. 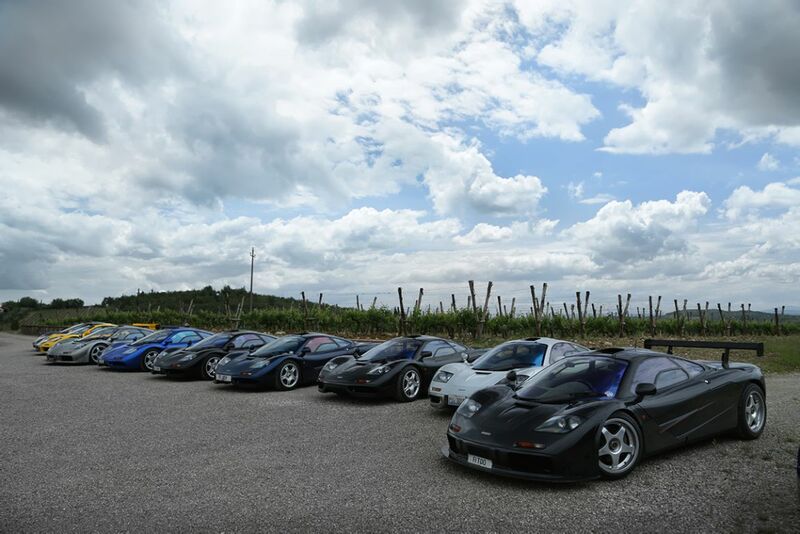 A total of 18 McLaren F1 models participated in the three-day tour, of which six were the GTR racing variant and 12 were road cars. In addition, the Tour was supported by McLaren P1, 12C and 650S road cars. The McLaren F1 is considered by many to be one of the greatest cars of all time. Launched at a price of £540,000 in 1994, over the course of the next four years 64 F1, five F1 LM and three F1 GT road cars were produced, together with 28 F1 GTR race cars. An additional six prototypes were also produced. Its exclusivity, technical innovation, racing provenance, revolutionary packaging and driving experience have made it an icon. So potent was the F1 that it’s still the fastest normally aspirated production road car in the world. 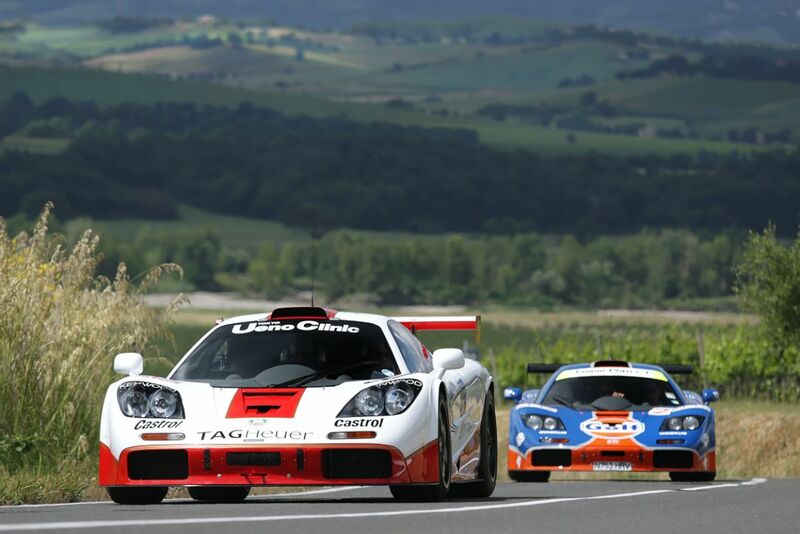 In 1998, with a total of 106 of all variants built and its production run complete, the McLaren F1 went on to achieve its greatest feat outside competitive motorsport. McLaren development and race driver Andy Wallace took XP5, the fifth and final prototype F1 with some 45,000 hard test miles on the clock, to the Ehra-Lessien proving ground in Germany. It was here on 31st March 1998 that the howling V12 propelled him to an amazing 240.1mph. So potent was the F1 that it remains the fastest normally aspirated production road car in the world. 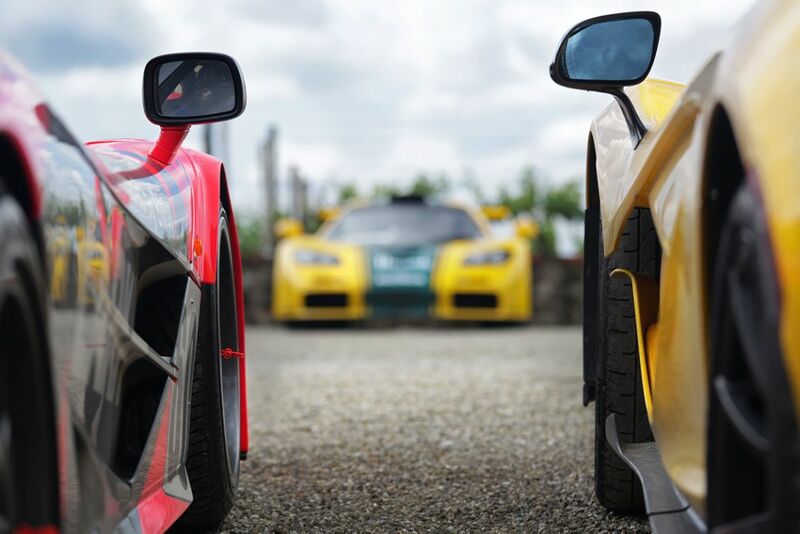 Similar to the 20th anniversary Tour in 2012, Martin Vincent of cm-arte.com also provided the following spectacular images of the 2014 McLaren F1 rally. 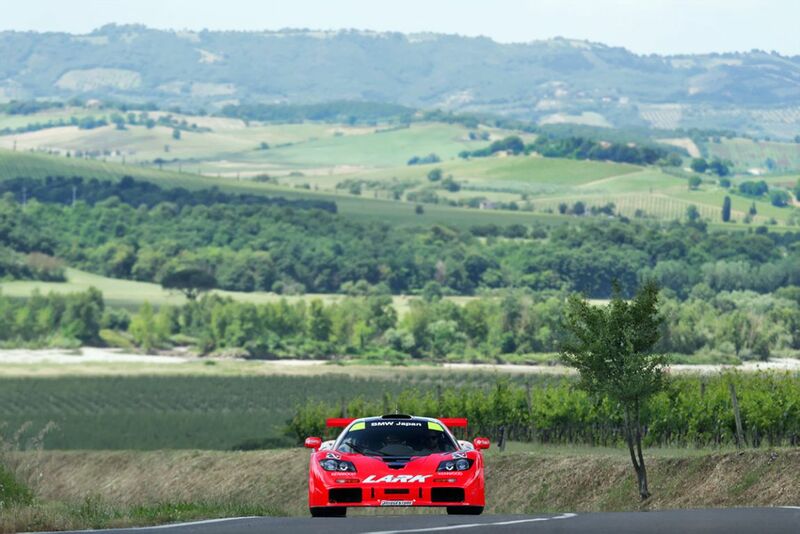 Chassis #06R – The Harrods racing GTR finished 3rd at 1995 24 Hours of Le Mans and 6th at 1996 running. the luggage compartments on each side, leather luggage had the serial number embossed on each piece, color matching the upholstery color! The Red and White Art Sports McLaren that won the BPR Championship and came 4th at LeMans is chassis 03R, not 02R! Great pictures!